The smartphone has invaded our lives. 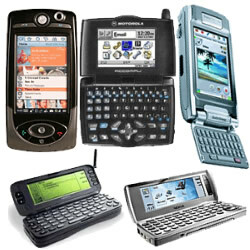 Currently, we can find hardware devices for reasonable prices becoming more affordable. The accelerated development of these devices makes us get used to change them in very short periods. In such a situation many gadgets may end up at the bottom of the drawer. Most mobile operating system has native GPS navigation software. However, almost all of them use the 3G networks to update the routes - which may end up consuming much of its data packet. Therefore, your phone could serve as a left full-time finder. All you need to do is install an application that uses maps. Generally, this type of program is paid, but the investment is worthwhile for you to have a GPS always available, without the risk of bursting your plan and pay a bundle later this month. Another interesting use for an old smartphone is being adopted as a remote control for television. Although not yet very popular here, both the Google TV and the Apple TV can be manipulated by means of free applications installed on mobile phones with Android and iOS, respectively. 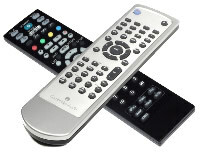 So if you have lost or broken the original remote control, just pick up the phone thrown in the drawer not getting out of the couch when you want to adjust the volume or change channels, for example. One of the problems when using a notebook is no keypads or a good touchpad. Know that a smartphone can also help you in that direction. The iPhone has some applications that allow you to interact with MacBooks, as in the case of the TouchPad and the NumPad, which cost $5 and $10. Meanwhile, Google's operating system has the RemoteDroid - a free program can control computers running Windows or Mac OS. The alarm cord and even the clock radio, which our parents and grandparents left on the headboard or on the nightstand, are relics today. It is common practice to use the phone to wake us up. 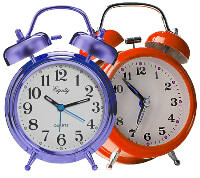 Thus, you can enjoy your old smartphone as a customizable alarm clock, just install the widget with clock function and "awakening" that will most please you - this kind of software options abound in the App Store and Google Play. Also, if you get angry and throw the "clock" on the ground, the injury is not as large. And a final suggestion is using your old retired phone as a music player. Loading your collection of old songs on the gadget, you can listen to them in the car (something even simpler if the sound of the vehicle has a USB port), while doing outdoor exercises, or of any other day to day activity. The main advantage is not risk having your newest gadget damaged or stolen. And you, dear reader? Do you use your old smartphone to some other function? Do you have any idea how it could be used? Join leaving your comment. International calls from Sweden will be more cheaply for your purse with Continental prepaid telephone cards. From Romania country the best method to communicate around the world is Partner phone cards. Continental phone card is the best way for all peoples to make international calls from New Zealand. How to Clean Touch Screens? I use my old mobile one in case when I am travelling to another country. I usually like to stay connected with my current sim card, but to make it cheaper I take my old phone and buy one of local sim cards. It helps me to save a lot of money, as well to be available for my friends and family when it is urgent. They can easily reach me with my regular sim card, but if I want to reach someone, new sim card is always of a great help.